Affordable 2 bedroom home in the highly desired Greenhaven/Pocket area. 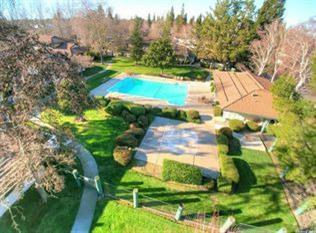 Beautiful gated community with built-in pool and park. Updated Bath and kitchen, washer/dryer in unit included, plus on site full laundry facility's. Open concept floor-plan. Laminate floors downstairs. Newer paint. Nice patio for relaxing.Fenced front and rear. Close to downtown, restaurants, shopping, parks and river! Listing provided courtesy of Elk Grove R E & Development Co. Listing information © 2019 MetroList Services, Inc.